Business is like war: The best combatant wins while the worst loses, right? Not necessarily. Companies can succeed spectacularly without destroying others. And they can lose miserably after competing well. Exceptional businesses win by actively shaping the game they're playing, not playing the game they find. 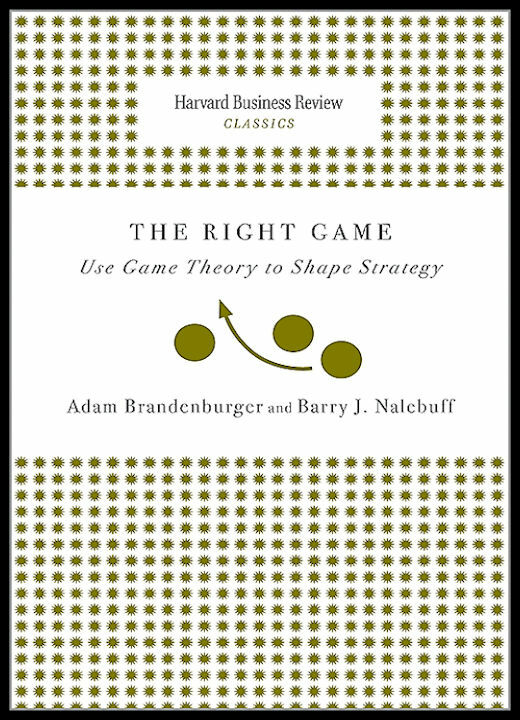 "The Right Game" shows you how to do this-by altering who's competing, what value each player brings to the table, and which rules and tactics players use. Since 1922, "Harvard Business Review" has been a leading source of breakthrough management ideas-many of which still speak to and influence us today. The Harvard Business Review Classics series now offers readers the opportunity to make these seminal pieces a part of your permanent management library. Each highly readable volume contains a groundbreaking idea that continues to shape best practices and inspire countless managers around the world-and will have a direct impact on you today and for years to come.